Hampi is a UNESCO World Heritage Site situated along the Tungabhadra river in Karnataka’s Bellary district. Hampi in the 14th Century, was declared as the capital of the glorious Vijayanagar empire and was the largest & richest cities in the World. The Vijayanagar kings created a number of beautiful huge temples which were marvels of architecture. The Mughul invasion destroyed the city and demolished all the structures. The Ruins of Hampi, as it’s known today, is a huge open museum of religion, architecture and on display. 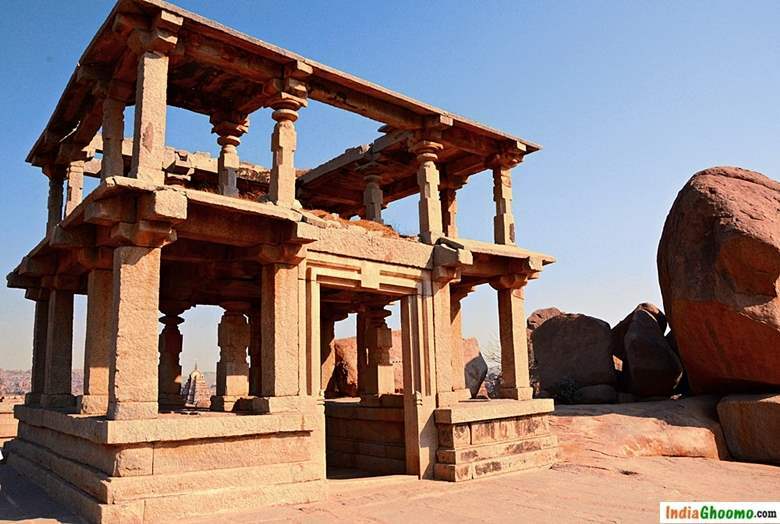 Along with the surreal landscape, Hampi houses one of the oldest functioning temple not just in Hampi but in India as well – The Virupaksha Temple. 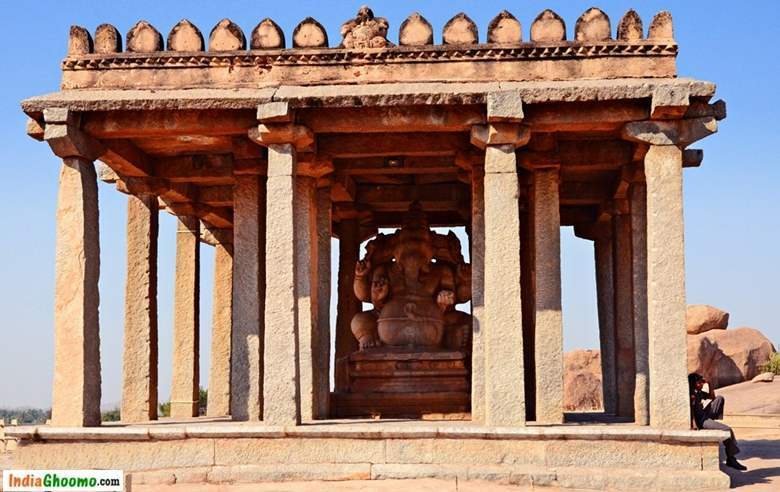 The Hampi ruins can be broadly grouped into 2 categories – The Sacred Centre & the Royal Centre. 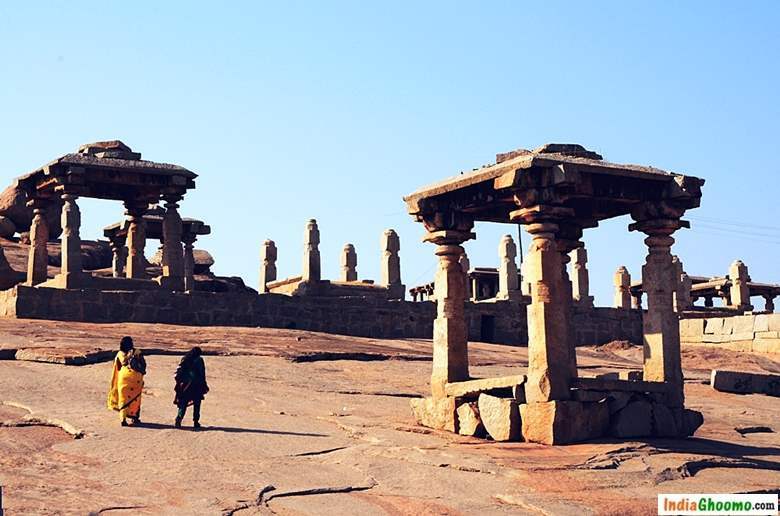 In part – 1 post/video, we gave you an overview of Hampi – it’s history, location and other useful information. We recommend you to watch and read part 1 post/video before watching this one so that it’s easier to understand this part. The Sacred Centre in Hampi is where most of the temple and religiously significant sites are located. We have further categorized Hampi Sacred Centre into 4 groups based on its proximity and each requires about 2 hours to explore. 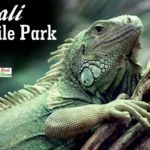 In this post/video, we will cover the major Hampi tourist attractions that come under Group 2 of the Sacred Centre. All the sites are very close to each other. 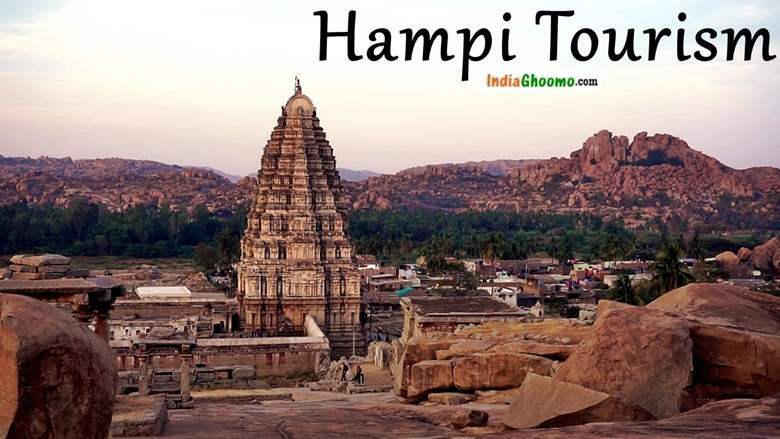 How to Reach Hampi ? Hampi can be reached by road, rail or air. However, road is the most preferred option. Hospet, a small town located about 12 kilometers from Hampi is the nearest railway station and has a bus stop too. 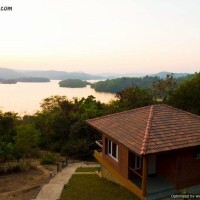 It’s an overnight journey from Bangalore, Goa & Hyderabad and can be reached by car, bus or train. From Hospet hire an auto-rickshaw or catch the local bus and in about 30 minutes you would be at the centre of Hampi. 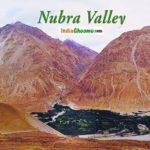 How to Reach Group 2 Sites ? 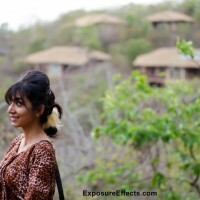 Time Required to Explore these sites in Hampi ? 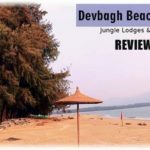 You can hire motorbikes and bicycles to cover a wider area, The local three wheeled taxi (Auto-rickshaw) or car is also available for hire at the site. 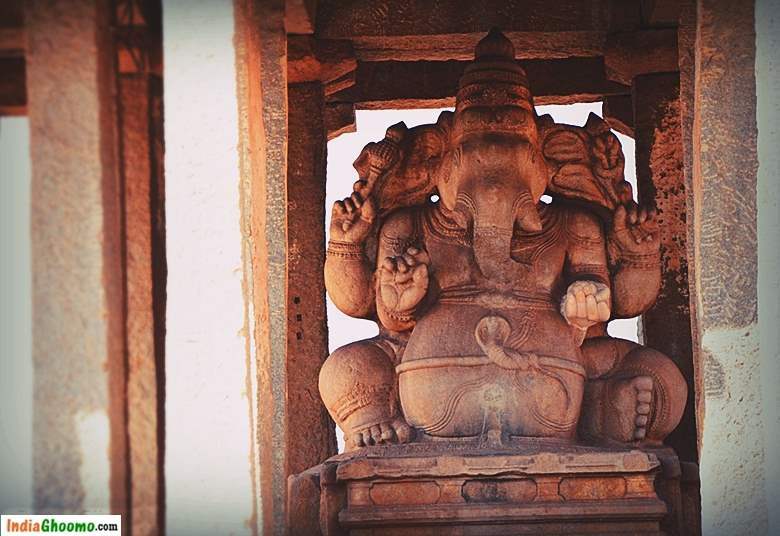 At a walkable distance from the main Hampi bus-stand, situated at the foothills of Hemakuta hills is a giant Monolithic statue of Lord Ganesha called the Sasivekalu Ganesha. The statue of Sasivekalu Ganesha was built in 16th century by a mustard seeds merchant in memory of King Narsimha, the second of the second of the Vijayanagara Empire. Sasivekalu in Kannada means Mustard , hence the name of the statue. This 8 feet tall statue of lord Ganesh is seated in a half-lotus posture on an open mantap with square pillars all around. Sasivekalu Ganesha statue has four hands, the upper right hand has a goad and the broken tusk is held in the lower right hand. The upper left hand has a noose and the lower left hand is broken and it has a sweet. You can see a beautifully carved snake around the Lord’s pot belly. It is believed that Lord Ganesh once ate a lot of food and to save himself from a belly explosion, he found a snake and quickly tied it around his cute belly. This temple was open for worship to the common citizens. Another huge Ganesha Temple a bit North of Sasivekalu Ganesha called the Kadlekalu Ganesha was exclusive to the Royal family. 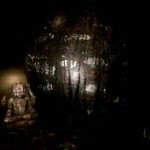 This 15 feet tall statue of Lord Ganesh was carved out of a huge boulder. The belly of this statue resembles a Bengal gram in local language called Kadalekalu. Hence, the name. 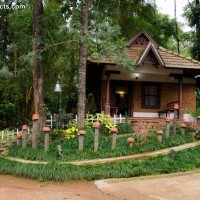 There is an open porch with slender long pillars right in front of the Kadalekalu Ganesha Temple. A sanctum is built around the statue with a pillared hall right in front. 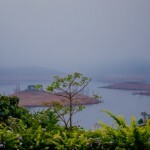 The Sasivekalu Ganesha and Kadelekalu Ganesha are located on the southern foothill of the Hemakuta Hill. 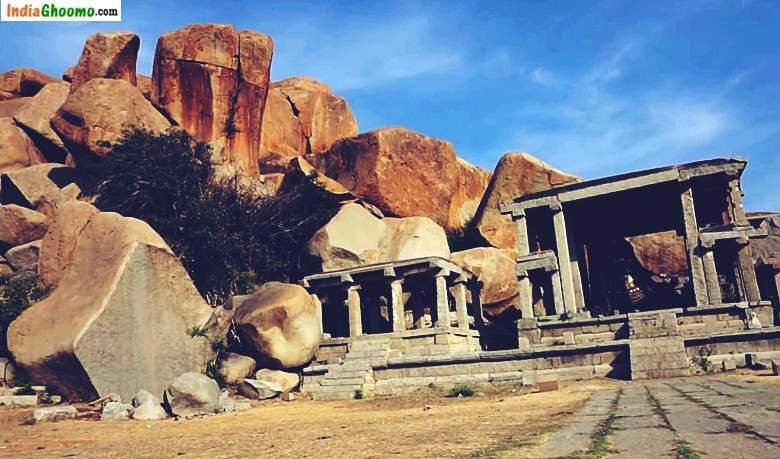 While it is not a tall hill, the Hemakuta Hill is one of the main attractions in Hampi offering spectacular Sunset views. 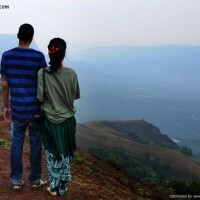 The Hemakuta hill is just a 15 minute climb from the foothills of the Kadelekalu Ganesha. The top of the hill is a flat expanse of rocky sheet. A large number of temples, archways and pavilions referred to as Hemakuta group of temples are built on the hill. 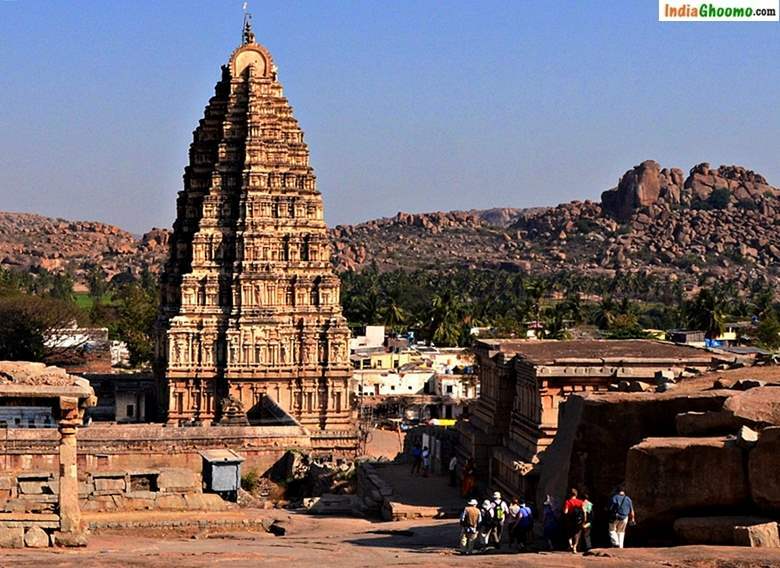 Most of the Hemakuta group of temples are dedicated to Lord Shiva and are among the oldest cluster of temples in Hampi belonging to the era before the Vijayanagara Empire. The architecture of these temples are different from Vijayanagara style architecture. These are compact triple chambered structures with pyramid like roofs made from granite. 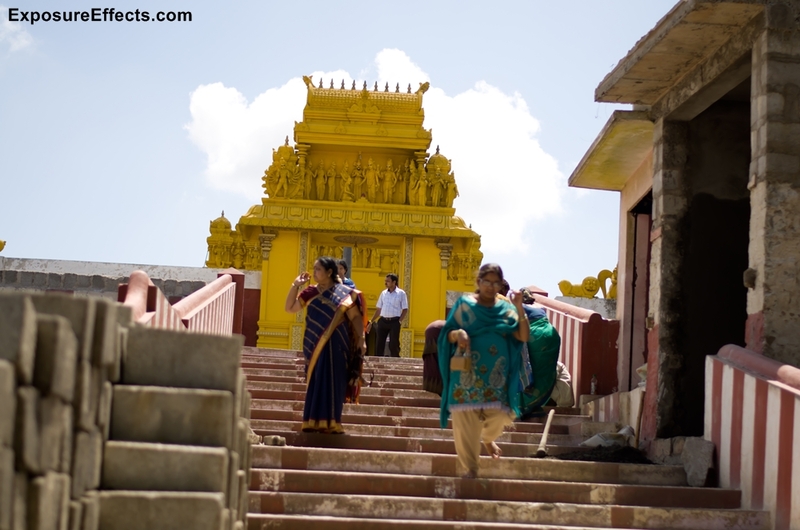 There are over 35 temples on the Hemakuta Hill. The Mughal invasion has destroyed quite a number of temples while some are in comparatively better condition. The Virupaksha temple can be seen from the North side of the hill offering a bird’s eye view of the temple complex. 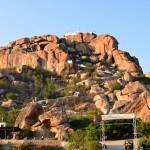 From here, we climb down the hill and proceed towards the Virupaksha Temple. 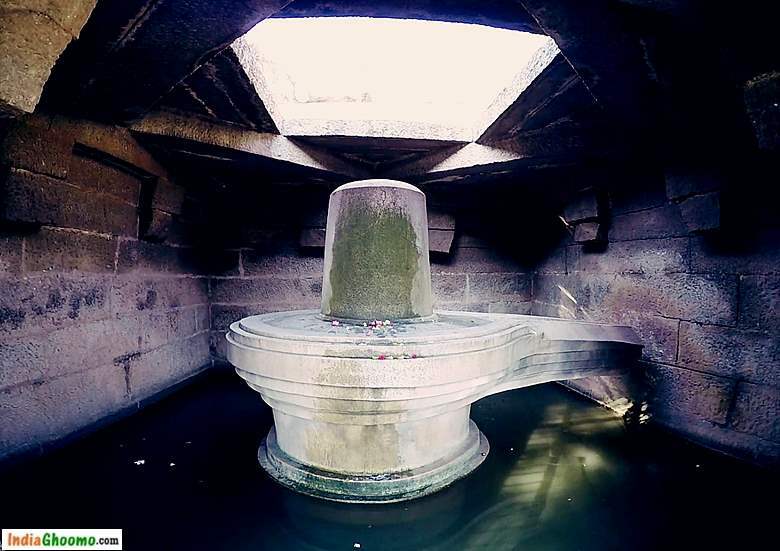 Dedicated to Lord Shiv, Virupaksha Temple is believed to be functioning ever since it’s construction in the 7th century A.D making it one of the oldest functioning temple not just in Hampi but in India as well. 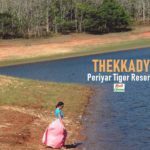 The first thing that you will notice about this temple is 165 feet tall Gopuram or the entrance making it the second highest in India, the first being that in the Meenakshi Temple in Madurai. The huge Gopuram leads you the first courtyard of the temple complex with a lot of open space. This courtyard houses a pillared hall called 100-column hall at the far left corner and a Kalyana Mantapa at the far right corner. It also has administrative offices, ticket counter & a police outpost. Further forward you will enter another gopuram that leads to the second courtyard. Just before entering through the gopuram towards left is a shoe safekeeping and a ticket counter. As you enter the inner complex you will see the temple of the other end with long pillared corridors on the either sides of the huge empty space. In the middle of the empty space, you will see a sanctum with 4 nandi statues in it facing the entrance of the main Shiv Temple. Photography is not allowed beyond this point. When you come out from the Virupaksha temple main gopuram, towards the left side of the lane is Hampi Bazaar also called as Virupaksha Bazaar. 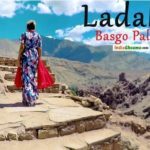 There are numerous shops lined on both sides of the lanes, selling colourful artifacts, gypsy clothes, lambani handicrafts and musical instruments that you can buy. A huge monolithic Nandi, the mount of lord shiv facing the Virupaksha Temple is located on the opposite end of the street in front of the Virupaksha temple. The nandi statue is housed in a double storied pavilion built on an elevated platform. A number of huge boulders behind the statue add an interesting backdrop. Towards the left side of the pavilion, a number of steps takes you to the Achutaraya’s temple which is on the other side of the hill. 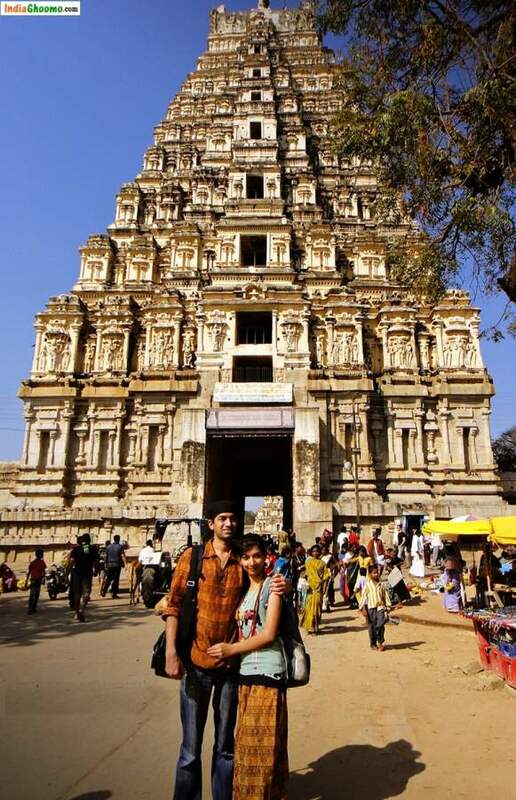 We will cover Achutaraya’s temple in Hampi Sacred Centre – Group 3 post. 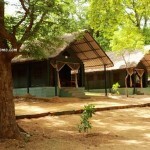 So that was all about the Hampi attractions that come under group 2 of the sacred centre. 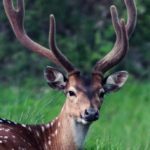 I hope you found this post/video useful. 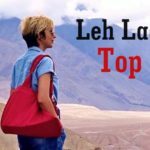 Subscribe our channel India Ghoomo for more travel videos. Thanks for watching. 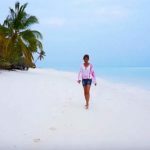 While photography is allowed at almost all the places, there are a couple of sites which require special permission. Photography is not allowed inside the Virupaksha Temple main sanctum.